Ahh, I'm on a roll today as I'm catching up with so many beautiful authors. Here's another charming author, Diana T. Scott, who is here to talk about her book, Our Demons, Best Friends, her life as an author and her life beyond books and all. Me: Hello and welcome to my blog, Diana. Congratulations on your new book, Our demons, best friends. 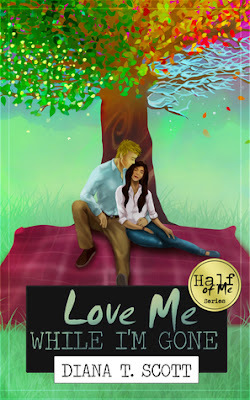 How will you express your feelings about this book that has already won the hearts of so many readers? Diana: Hi, Aditi. Thank you for having me. The whole process has been surreal - a lot of long nights and skipped meals, but I’ve loved every second of it. Me: What inspired you to write this new adult story? Diana: Our demons, best friends was as much an attempt to transform a passion into something more, as it was me getting over some things that happened in my past. Part of the story is based on real-life events and me writing it was a different approach to self-help. Me: How did you research for this book which involves medical study? Are you a doctor yourself? Diana: I am not a doctor but I was close at becoming one. While still in high-school, I was really interested in biology and genetics, but at the end of my final year I decided not to try for medical school. I still think it was the best decision for me, but sometimes I wonder what it would’ve been like. Now, through Ava and Sebastian, I can finally live that dream. Through my characters, I can live any dream. I’m lucky. Me: Tell us one trait of each, Ava as well as Sebastian, that intrigues you the most. Diana: Not many people know this, but Ava and Sebastian are both different sides of my personality. My first reaction at losing someone close to me was to act like Sebastian, only to realize that I’m a Ava, after all. It was a long process, but totally worth it. Diana: Let’s just say that I’m the happiest, sleep-deprived person on this planet. Diana: Not really, no. I’ve always loved to read and my inner thoughts always found a way out of my head and onto a piece of paper. But it took me a while to actually start writing for someone other than myself. Diana: I love music, photography, traveling and fashion design. Those are some of the dreams I had to leave behind to pursue a career in writing. Now they’re just hobbies, but I don’t regret a thing. Me: How do you get away from the stress of writing? Diana: I either travel or write some more. Whenever I have writer’s block, I try to focus on a completely different story. I leave Ava and the gang aside and work on stories I don’t plan to publish anytime soon. Diana: Right now I’m working on Paige and Miles’ story. I’m taking it slow because I still have Emily and Collin on my mind and sometimes it’s difficult to make the transition from inside one character’s head to the next. 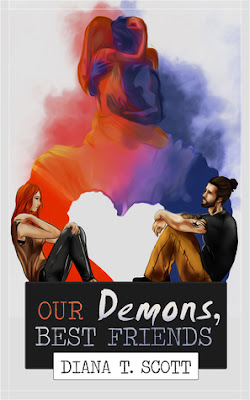 Lana’s turn will be next and I’ll finish this series with Rick (the paramedic from Our demons, best friends) and his story. I can’t tell you how excited I am about them all! Me: Thanks Diana for joining me today on this interview session. I wish you luck for all your future endeavors. Diana: Thank you, Aditi. It was my pleasure! I wish you all the best. I am a writer. Or my alter ego is, I’m not sure yet. We constantly fight about this. As soon as I win, I'll let you know.